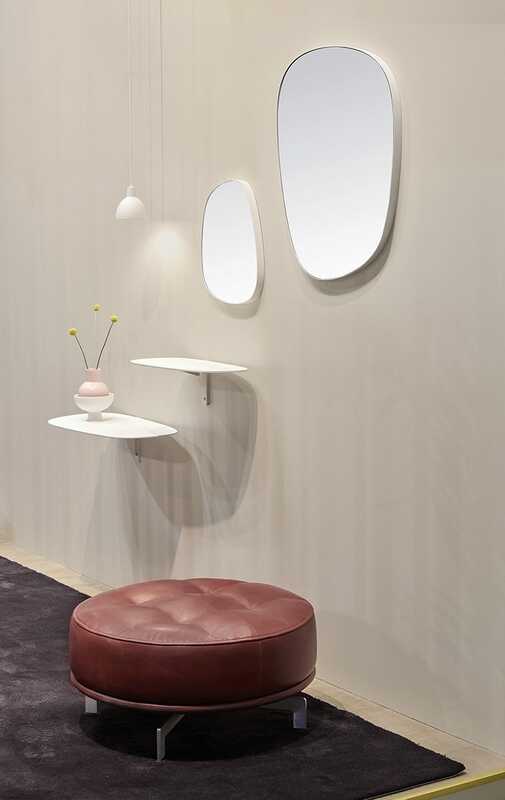 The design duo Ernst & Jensen adds another new item to the popular Insula collection, which is known for its organic shape. 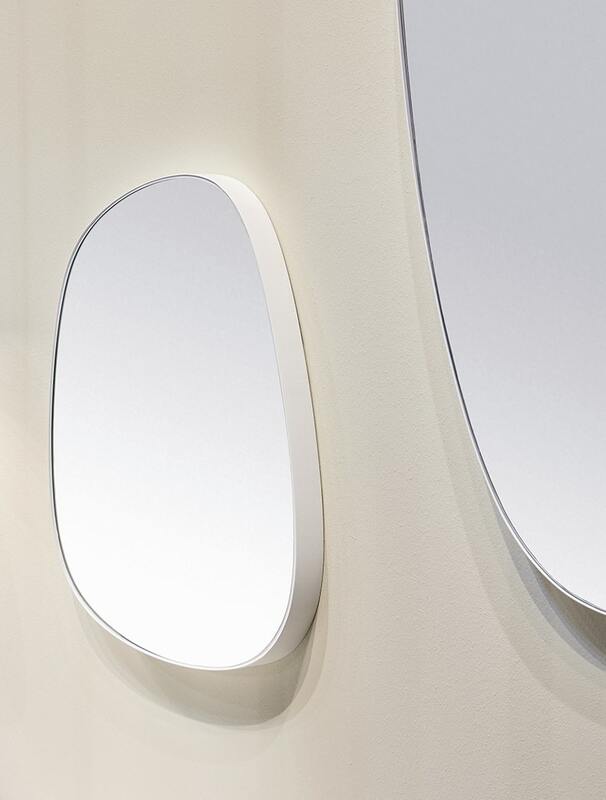 Recently the duo introduced Insula Wall, this time they have challenged the Insula shape yet again and transformed it into another element for the wall with ‘Insula Mirror’. delightful life to the wall’, says designer Anne-Mette Bartholin Jensen. now furthermore consist of both tables, shelves and poufs. 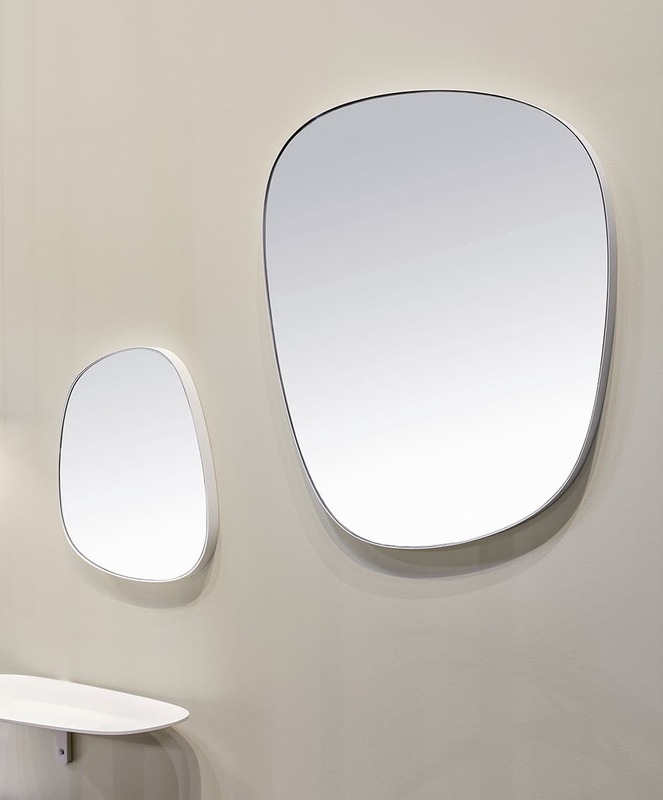 mirrors to be turned and composed freely according to your mood and desire.